For information about audience demographics and key statistical metrics for Behind Handlebars, please see the media kit. My picture 'White Stripes' won the 1st Prize in Bicycle Utopia's International Photo Competition 'Am I Invisible?' Open Call 2016! 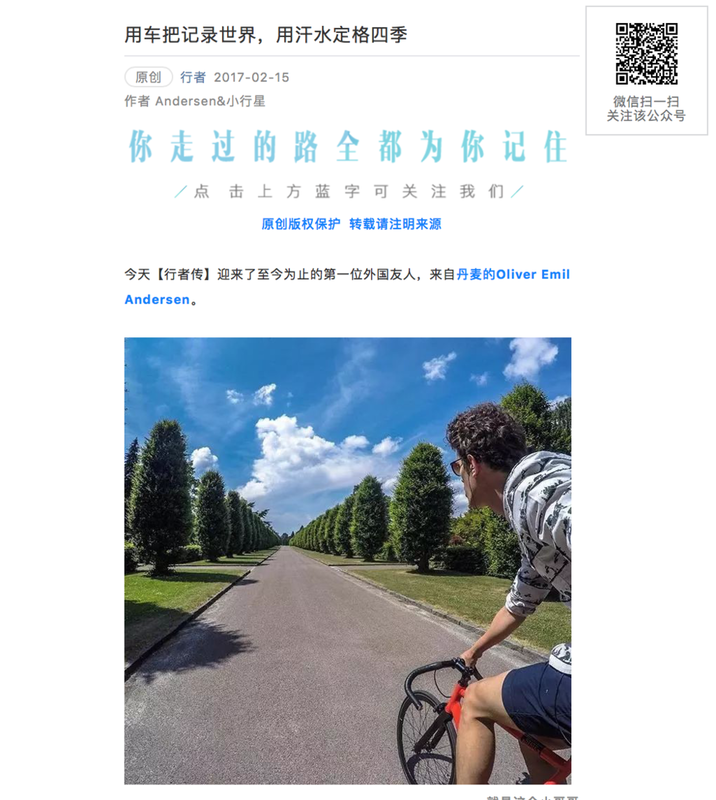 Interview and photo publishing through the growing Chinese company ⾏行行者, with 5 million active users on their APP. The interview received more than 22.000 views in 1 day on their WeChat profile. The interview is in Chinese and English and can be found here. 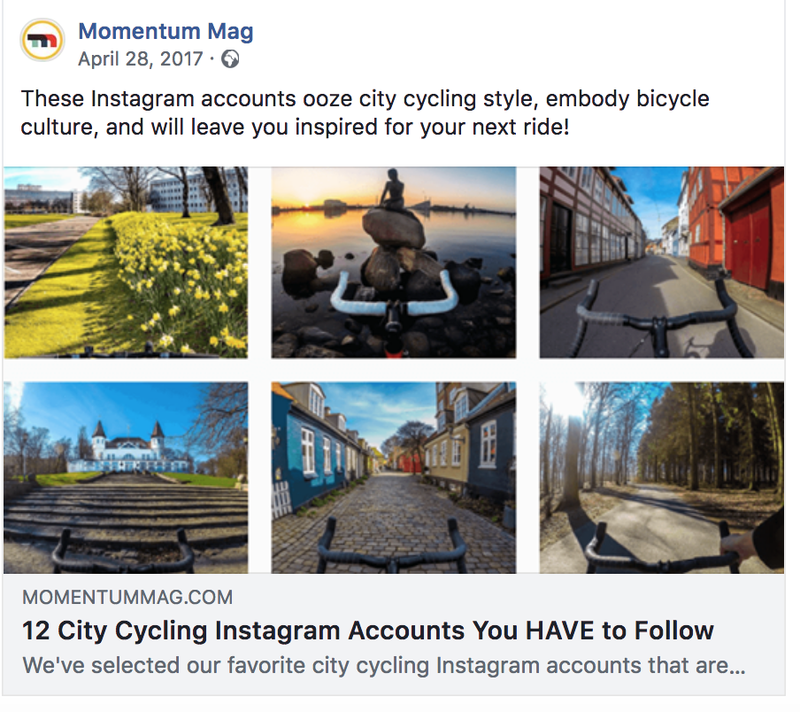 The Behind Handlebars instagram account was awarded the best city cycling account by the Canadian magazine 'Momentum Mag'. The full list and their words about Behind Handlebars can be found here. Televised segment and interview specifically focused on my life behind handlebars on instagram, my pictures, my motivation and visions for the project. Aired live on Friday the 17th of February 2017, 5:30pm. Interviewed live on BBC Radio Sheffield about my project and my time visiting Sheffield and the Outdoor City; an event I was invited to as an influencer. The segment can be heard on BBC's website here, from 1:39:00. The article puts focus on Behind Handlebars, the growing global community, and the posters that I have created. The magazine is distributed to the organizations 16.000 members all over Denmark. The article is in Danish and can be read here.